Last Date of Pay Examination Fee. 28/02/2019. Date of Admit Card. April 2019. Date of Result Declared. May Second Week. Mode of Payment. The Fee may be Paid Either by Net Banking/Credit/Debit Card or Through E-Challan Generated During the online Filling of the Application Form. In case of E-Challan, the Payment Should be made in the any Branch of State Bank of India in cash. Group A. Diploma in Engineering. Candidate Must Have Passed Class 10th With 35% Marks (For PCM With 50% Marks). Group B. Diploma in Agriculture Engineering. Candidate Must Have Passed or Appeared in Class 10th With 35% Marks or Having Agriculture in Class 12th. Group C. Fashion Designing and Garments Technology/ Home Science and Textile Design And Engineering. Candidate Must Have Passed or Appeared in Class 10th With 35% Marks. Group D. Modern Office Management & Secretarial Practice. Candidate Must Have Passed or Appeared in Class 10th (Hindi/ English Subject in Class 10th or 12th). Group D. Library & Information Science. Candidate Must Have Passed or Appeared in Class 12th. Group E1 (Biology)/ E2 (Math). Diploma in Pharmacy. Candidate Must Have Passed Class 12th With Physics And Chemistry As A Compulsory Subject With Maths/ Biology (Zoology And Botany). Group F. Post Graduate Diploma in Biotechnology (Tissue Culture). Candidate Must Have Passed or Appeared in B.Sc in With Biology, Chemistry/ Biochemistry. Group H. Diploma in Hotel Management and Catering Technology. Candidate Must Have Passed or Appeared in Class 12th With 35% Marks. Group K1 to K8. 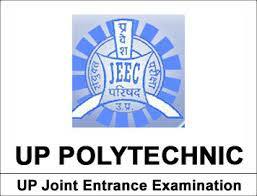 Lateral entry in 2nd Year of Engineering & Technology Diploma Courses. Candidate Must Have Passed Class 12th. OR Candidate Must Have Passed Class 12th With Vocational/ Technical Subjects. OR Having 2 Years ITI in Relevant Trade. There is Not Any Upper age Limit but Candidate Must be Minimum 14 Years Old. 2. Click on the Apply Online Link As Given On Our Page in Important Link Section. 3. Candidates are Required to Register before filling the Application Form. 4. Fill the Application Form Carefully Read All the instruction Before Filling the form. 5. Upload the Scanned Copy of Signature (4Kb to 40 Kb), Signature(1Kb to 30Kb) And Left Thumb Impression (1Kb to 30Kb) in JPEG Format. 6. Make Payment to Complete the Submission of Application Form. 7. Download the Acknowledgement Page For Future Reference. 8. Online application will be available till 28th February 2019. Registration For Group A. Click Here. Log In For Group A. Click Here. Registration For Other Group. Click Here. Log In For Other Group. Click Here. JEECUP Official Website. Click Here.